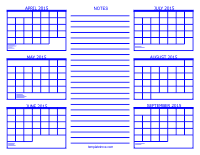 Our 6 month calendars have six calendar months per page with 12 available combinations of months. 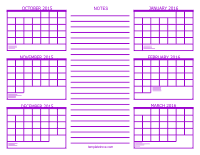 All calendars are in PDF format and are available in five colors. 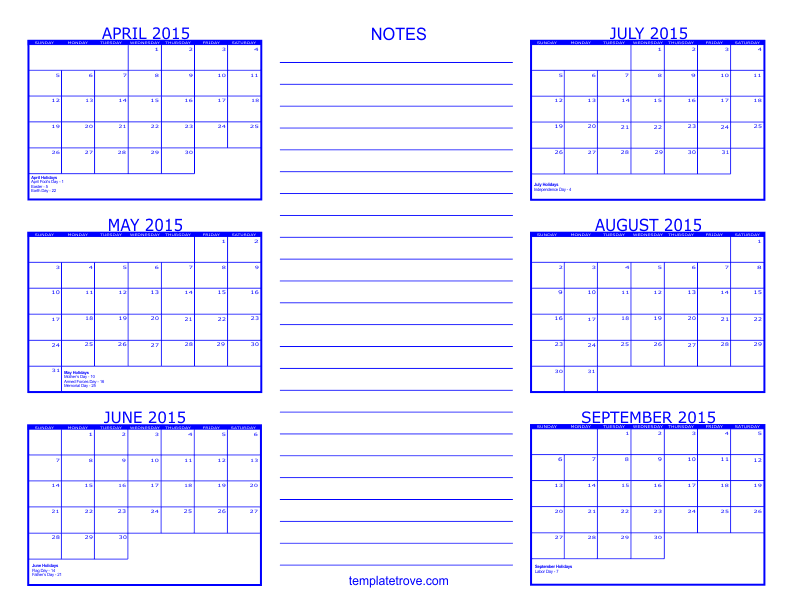 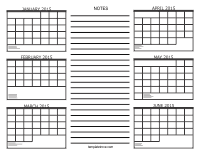 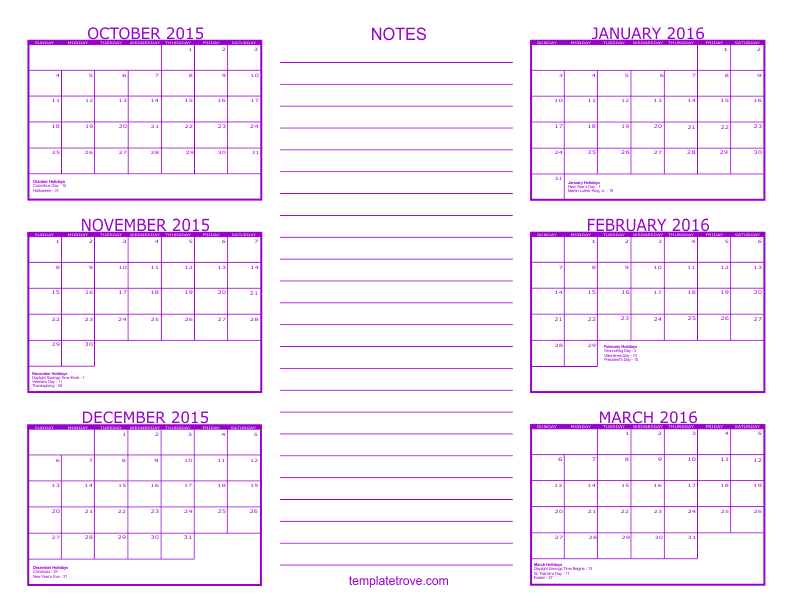 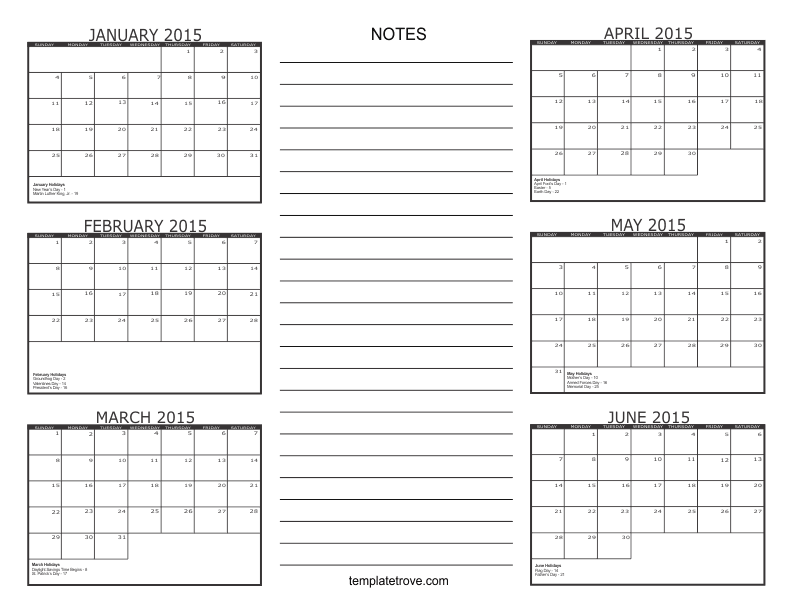 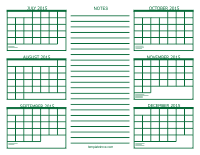 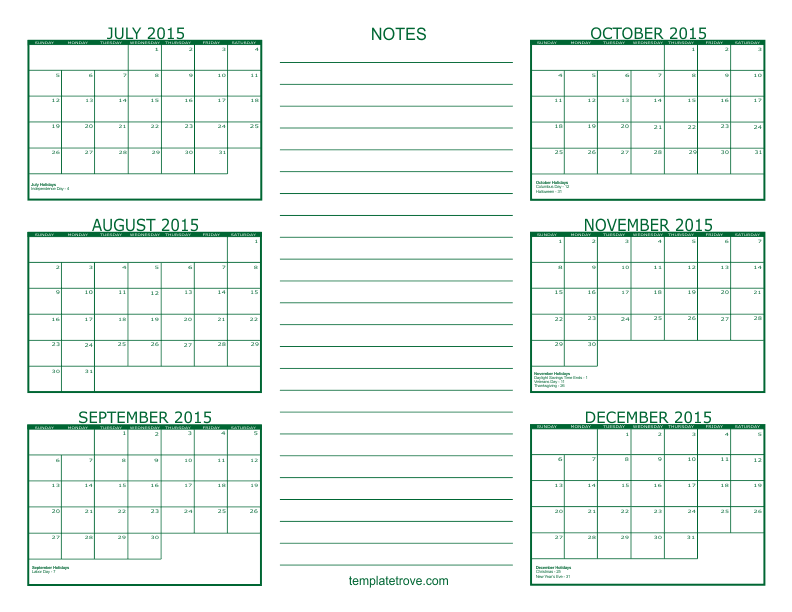 Calendars are formatted to fit standard letter size paper (8 1/2" x 11").